Packing up all of our belongings as well as packing for fourteen months on the road was a bit overwhelming. In the chaos of everything, we inadvertently forgot our precious Indian Spices, which my parents had bought for me when last in India. What a sad mistake. Indian food is one of our favorites, and chances of finding a lot of great Indian restaurants here in Playa seemed pretty slim. Our cousins, Abe and Liza, came to the rescue! They packaged up our spices and sent them off to Mexico. Now I have to admit, sadly, that I was not too hopeful of having them ever arrive. International mail can be pretty unreliable. Imagine my surprise when there was a knock on the door today (almost three weeks later) and a man stood, waiting to deliver our precious cargo. I almost snatched the package from his hands, I was so excited, but he would not relinquish it. “ID,” he said. Really? Yes, he was quite adamant. Ok. We RAN to get our ID and moments later, we were ripping into our package. Out spilled our long-anticipated Indian spices. Never have there been happier children (and dad and mom!). We couldn’t even wait for dinner. 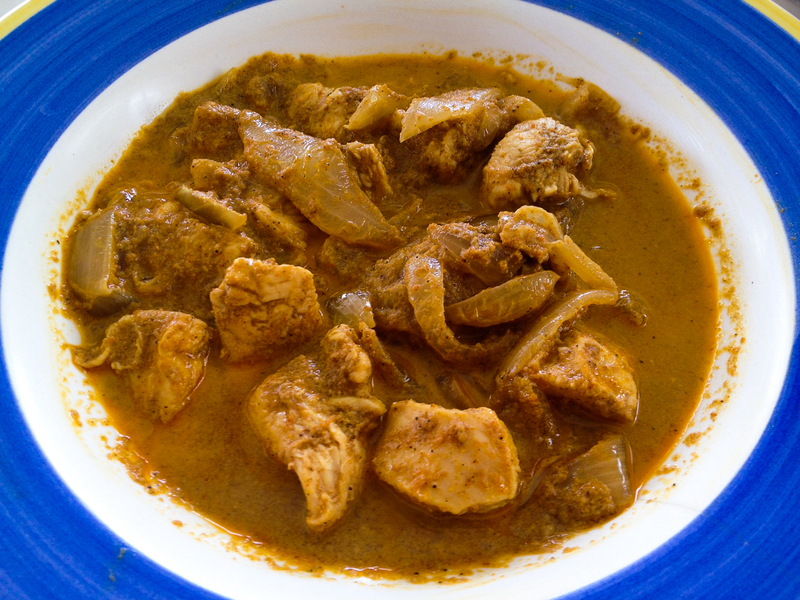 In our haste to taste, we tore open the individual plastic bags and set to work making Indian Chicken Curry for lunch! Delicious! Oh Indian Food…how we have missed you! Thank you, Abe and Liza, for your thoughtful kindness. Oh man that sounds soooo good. We just packed up a whole bag of goodies for people back in Israel. Food always tastes better when you eat it where it is otherwise unavailable. You are so right, Nick! Just curious though. What foods did you pack up to take back with you?